We look forward to meeting you for our service visit. To minimize, or better yet avoid, any unpleasant surprises, we’d like to familiarize you with the way we work and what you can do to prepare. This way we’ll make your service experience the best it can possibly be and give you your best cleaning ever. Because we're a green company, we minimize the use of paper whenever possible and instead, resort to using email to communicate. In the course of your service visit you’ll receive three (3) e-mails from us: 1. An appointment confirmation. 2. Your invoice/payment receipt. 3. An after job survey. If you do not have an e-mail address we can accommodate to send you your payment receipt by regular mail. We realize that life happens and there will be circumstances beyond your control where you’ll need to make a change to an already scheduled appointment. If that’s the case please allow for a 48 hour advance notice and we will do our best to accommodate your request. For changes or cancellations with less than 48 hours’ notice a $99 cancellation fee will apply. We don’t like to start making excuses before the work has even started, however pre-existing conditions is something we face on a regular basis. Although we may be able to improve on them we can’t always fix them. Color loss on carpet, missing grout on tile, gouges on a wood floor are just a short listing of conditions we may not be able to fix. If you are concerned about any pre-existing issues on the surfaces we’ll be cleaning for you, please bring them to your service Technicians attention. That way he can counsel you on what we can and can not do to help the situation in question. 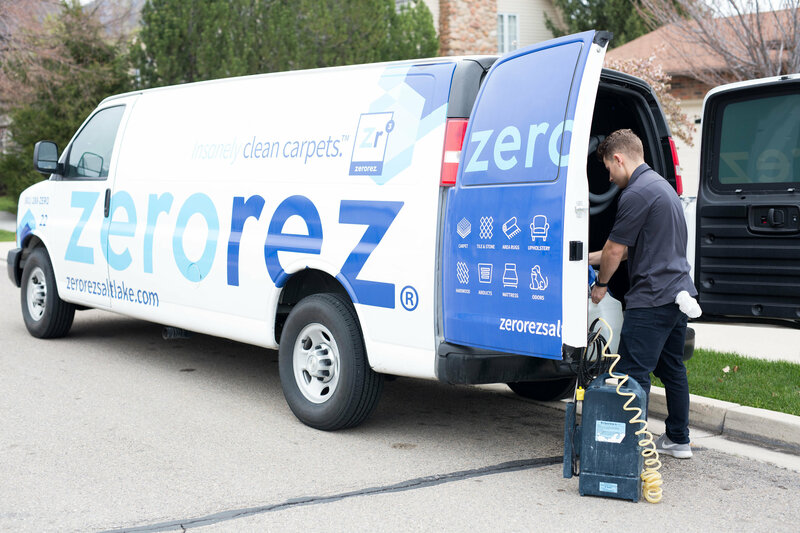 Your Technician will do a great job cleaning exposed carpet, traffic lanes, and around any items left in the room. Please be sure to secure long drapes so they do not contact damp carpet. If you have heavy furniture that must be moved, we can schedule a second Technician at an additional charge. Vacuuming before our arrival will give you the best possible result. Our arrival time is a window, not a set time, due to variables such as traffic and additional work your Technician may be asked to perform by a prior customer. If the Technician is delayed he will call you before the start of the arrival window to let you know his estimated time of arrival. Please let us know if street parking is not an option, and be sure to consider street cleaning schedules for your neighborhood when checking your appointment. Also be aware of the fact that we’ll be running hoses from our service vehicle to your home. If you’re aware of any access issues that may prevent this, please let us know. Payment for the service we provide is expected at the completion of the service visit. Our technicians are equipped with an app that handles all payment details. We accept cash, checks and most credit cards as forms of payment. Please make your check payable to Zerorez. Currently, we add a $19 water treatment and disposal fee for all residential jobs. Your final invoice will be sent to you by email. Our call center representatives and our online scheduling system strive to give you an accurate estimate for the work that will be performed. However, our on-site Technician will advise you if an adjustment or re-measurement must be made. Treatment of pet urine, feces, vomit, blood, or other biologicals is not included in our basic price plan. We can provide excellent outcomes in treating these issues. Consult with your Technician for the various options available. All surfaces we clean eventually soil again. To give you the best possible, long-term, performance we highly recommend the re-application of fabric protectors to soft surfaces (carpet, upholstery, rugs, etc.) and sealers to hard surfaces (grout and natural stone). Please ask your service Technician what would be the best option for your specific situation. We appreciate and encourage your feedback! You will receive a short questionnaire by email one day after we complete your job. We would love to hear from you and will respond to any questions or concerns you may have. Our service guarantee is very simple. If you are not totally delighted with the results of our cleaning we will do whatever it takes to make it right. No time limits or small print. Just a solid guarantee that assures your complete satisfaction with our work.